Higher accident rates go hand-in-hand with higher car insurance premiums. It goes without saying that winter driving conditions are the most challenging for drivers. Statistics show that nearly twenty-five percent of all weather-related crashes involve icy roads, snow, or slush. That’s because drivers can’t see as well, and slowing down and stopping on time can be compromised by road conditions. Ideally, everyone would stay off the roads during these dangerous conditions, but that isn’t always possible. 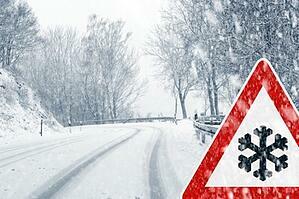 So, if you must travel during winter weather, follow these winter driving safety tips. Preparing your vehicle—and yourself—before and during the trip will remove some of the stress of driving under adverse conditions. It will also put the odds of returning safely in your favor! Before you venture on to those snow-covered roads, put together a vehicle survival kit, which includes an ice scraper, a snow shovel, and some salt. You will then be prepared for the storm that blows in when you’re away from home. Also, check your tires. Properly inflated tires with good tread are a must on slick roads. If you usually use snow tires, have them on your vehicle before the first snow arrives. Fill up your gas tank at the start of your trip, and don’t let it fall below half. If you are stuck or stranded, you’ll want to have plenty of gas to run your engine and keep warm. Also, check your wiper blades and replace them if they’re streaking your windshield. It’s hard driving in slippery conditions; it’s even harder if you don’t have a clear look at the road. And don’t forget to fill your windshield fluid reservoir—it will help you clear snow and ice from your windshield. Charge your phone before you leave. It’s a good idea to sign up for weather alerts texted to your phone, but it’s not a good idea to check them while you’re driving. If your vehicle has been setting outside, clean it off before you leave. And that means clean everything: windows, mirrors, all lights, roof, hood, and trunk. Always drive with your headlights on and keep them clean to improve visibility. Be extra careful in areas where snow banks limit your view of oncoming traffic. When you’re on the road, keep in mind that speed limits don’t apply to roads that are covered with snow and ice. Slow down and increase your following distance. Maintain as much control of your car as possible by avoiding cruise control in slippery conditions. Bridges and overpasses are the first surfaces to become icy, so use caution when you’re crossing them. Accelerate gently and brake with extra caution. Don’t pass snow plows and salt trucks. The road is much safer behind them than in front of them. Remember, safer driving means less chance of incurring an auto insurance claim, injury or worse. If you get stuck, stay with your car. You could get lost in a heavy snow if you set out on foot. Bundle up and sit tight. You can run the car heater for 10 minutes every hour. Just make sure your exhaust pipe is clear of snow. You don’t want deadly carbon monoxide seeping into your vehicle because snow has blocked the pipe. Be extra safe by cracking your window to prevent any buildup. If it’s possible, err on the side of caution. If you aren’t sure it’s safe to drive, wait until you are sure. The Right Car Insurance Can Pay Off - Contact Us! Sadly, sometimes accidents are unavoidable. They just happen. If you are involved in an accident this winter, you’ll be glad you had the right insurance. If you'd like an insurance review for your car, truck, RV, motorcycle or boat, contact American Insuring Group online, or give us a call at (800) 947-1270 or (610) 775-3848 to learn more about how we can reduce your auto insurance rates. As independent insurance agents, we're free to shop the market to find you the right protection at the best price. Contact us today. Commercial auto insurance and personal auto insurance are two completely different things – mainly because a commercial vehicle faces more risks and needs more protection than a personal vehicle. Commercial auto insurance is designed to protect you, your employees, your vehicle, your equipment, your business (in the event of a lawsuit), and other individuals. 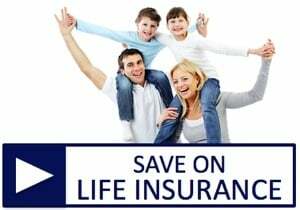 It has some of the same coverages as personal insurance, but usually includes higher liability coverage and additional add-ons not offered with personal auto insurance. If you are conducting business in a vehicle that is only covered by personal auto insurance and that vehicle is involved in an accident, you risk having your claim denied. Each state has different requirements, but nearly all of them require that any registered vehicle be covered by – at least – liability insurance, and some states require that you purchase uninsured motorist coverage and no-fault car insurance. Pennsylvania is one of those states, and these requirements – and often more - apply to your commercial vehicle. If you transport hazardous materials or you transport goods or passengers from state to state, you are also subject to federal requirements for commercial auto insurance. For instance: a commercial vehicle carrying 16 or more passengers across state lines is required to have $5 million of insurance and a vehicle carrying less than 15 passengers across state lines is required to carry at least $1.5 million of insurance. Often, you will find that insurance companies will only sell you policies that include coverage that is higher than the state’s minimum requirements for personal vehicles, because providing coverage for a commercial vehicle increases the risk. Plus, financial intuitions may require additional coverage. Trucks – dump trucks, refrigerator trucks, etc. The vehicle is consistently driven by you or your employees for both business and personal use. Collision: This covers your vehicle for damage incurred in a collision/accident. Comprehensive Insurance: This covers you if your vehicle is damaged by something other than a collision, such as theft, fire, or vandalism. PIP and medical payments coverages: Personal injury protection (PIP) and medical payments coverages help take care of expenses, such as the loss of wages, incurred when you and/or your passengers are injured in an accident. Emergency roadside insurance: If you’re battery dies, you get a flat tire, need your car towed, run out of gas, or lock yourself out of the car, this insurance can come in handy. Personal effects insurance: This insurance covers your personal belongings in the event of a theft. If you want to protect your employees, your vehicle, your equipment, your business, and other individuals, give us a call at (800) 947-1270 or (610) 775-3848 or click here to contact us. As independent insurance agents, we can help determine the right auto insurance at the right price for your vehicle by shopping among competing insurance carriers. Click or call today. Most drivers are aware that the rates they pay for auto insurance are a result of factors such as their driving record, the type of car, van, truck or RV they own, the distance of their commute, and various demographics like their age and gender. But there are also lots of myths about vehicle insurance that, in some cases, could end up costing them substantially more than the premium. Let's shine the light of truth and dispel all 8 myths right now! 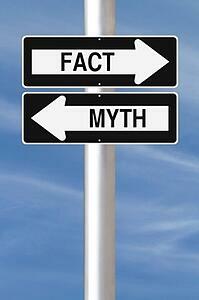 Although this myth has persisted for many years, there is no basis for it. The sticker price of your car, its safety record, the cost to repair it, and the likelihood of theft are all considered in the premium. The color makes no difference. Simply put, the premium on a silver Mercedes 260E will be higher than on a red Honda Civic. The truth is that senior drivers (usually 55 and over) have the opportunity for discounts that may not be available to younger drivers. Both AAA and AARP offer defensive driving courses for mature drivers. These may be taken online and, upon successful completion, could result in as much as a 10% reduction in your vehicle insurance premium. Actually, it is very important. Almost every insurance company uses a credit-based insurance score to determine eligibility and premium rates, and it is based, in whole or in part, on the information found in your consumer credit report. For most people, a good credit score will translate into lower insurance rates and vice versa. Not necessarily. Comprehensive vehicle insurance, which covers theft, vandalism, and an array of non-collision damages to your car, is optional coverage. Many drivers choose not to carry this on an older car as a way of saving money. Keep in mind that if a car is to be fully protected, both collision and comprehensive coverage need to be in force. State minimum liability requirements don’t come close to covering the cost of a serious accident. The old idiom “penny wise and pound foolish” applies here. Saving a few dollars a year on inadequate coverage may end up costing thousands more. Actual liability coverage limits should be four to six times higher than the state minimum. In most states, car insurance travels with the vehicle. So remember, if you’re loaning out your car, you’re agreeing to take responsibility for that driver. Your rates may be at risk if the driver has an accident. This is not the case. In fact, many insurance companies offer savings to active members and veterans of the armed forces and their families. This makes sense since, statistically, members of all branches of the armed services are responsible, law abiding and safe – all traits that make them a lower risk. Proceed with caution here. If you are self-employed and use your vehicle under a personal policy, you risk having a claim denied. The rules that determine what constitutes commercial vehicle insurance vs. personal insurance use are complex. Make sure you are covered under the proper policy for your situation. Now that we've dispelled some common myths of auto insurance, give us a call to learn more at (800) 947-1270 or (610) 775-3848, or click here to contact us. 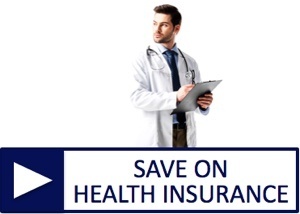 We'll help you obtain reasonable premiums without sacrificing vital coverage. We're independent agents who offer car insurance policies from competing insurance companies. That means we can find you the best insurance at the best price. We've been serving the vehicle insurance needs of Reading, Philadelphia, Allentown, Harrisburg, Lancaster, Pittsburgh, Erie, PA and beyond for over 25 years. Call today. Whether your company owns one commercial vehicle or an entire fleet of vehicles, regular vehicle maintenance is one of the best things you can do to protect your employees, your property, and your business. As a bonus, any time you reduce risk you reduce the chance of incurring an insurance claim, which ultimately can help lower your commercial vehicle insurance and other business insurance rates. Regular maintenance can help prolong the life of your vehicle and allow it to operate more efficiently. Regular maintenance also helps ensure the safety of your employees and can help cut down on insurance claims. Many state and U.S. regulations require a preventive vehicle maintenance program, including a structured record-keeping system. Non-compliance of these regulations can lead to strict penalties, including hefty fines. In addition to complying with federal regulations, it’s also a good idea to create a formal preventive maintenance program that includes a daily pre- and post-drive checklist. This helps insure that drivers share some of the vehicle maintenance responsibility and that the day-to-day safety requirements are met. A good place to start is the Federal Motor Carrier Safety Administration (FMCSA) website. http://www.fmcsa.dot.gov/ FMCSA’s “A Motor Carrier’s Guide to IMPROVING HIGHWAY SAFETY” is a great resource. It includes lots of information and record-keeping forms. http://www.fmcsa.dot.gov/sites/fmcsa.dot.gov/files/docs/ETA-Final-508c-s.pdf. With a preventive maintenance plan in place and knowledge of federal and state regulations, your one commercial vehicle or your entire fleet will be ready for the road. American Insuring Group’s independence and high standards allow us to provide the best commercial vehicle insurance rates and high-quality insurance protection for your commercially used car, van, truck, or fleet. Contact us at (800) 947-1270 or (610) 775-3848 to learn more. Picture this: a pizza delivery guy, a shuttle driver (sole-proprietor of the business), and an independent landscaping contractor collide into each other at the intersection of First and Main. If you own a fleet of vehicles and hire many drivers, you probably know you need commercial vehicle insurance. But what if you just use your personal vehicle for business occasionally, or it’s just you driving your truck from job to job? Won’t personal car insurance cover you in the event of an accident? It depends. Like personal vehicle insurance, commercial vehicle insurance covers things such as liability, collision, comprehensive, medical payments, and uninsured motorist coverage. However, there may be a difference in eligibility, definitions, coverage, exclusions, and limits. Certain business usage and vehicle types can be excluded from personal policies. Some businesses need coverage only found in commercial car and truck insurance. Commercial vehicle insurance generally includes higher liability coverage. Sometimes commercial insurance also insures the items (such as work equipment) within your vehicle; it may include rental reimbursement to help cover the cost to temporarily replace a commercial vehicle; and it may offer single-deductible options, which allow you to extend coverage to trailers or other specialized equipment you haul. So, how do you know if you need commercial vehicle insurance or if personal vehicle insurance is enough? It depends on the nature of your business, how you use your vehicle, and your insurance company’s policies. Here are a few questions you need to consider - if you answer yes to any of them, you may need commercial car insurance. · Is your vehicle used to transport goods or people for a fee? · Is your vehicle owned or leased by a partnership or corporation? · Is your vehicle registered or titled to a business, corporation, partnership, or DBA? 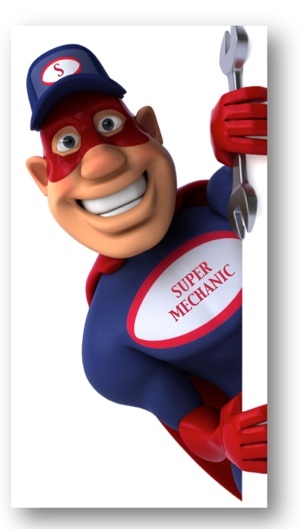 · Do employees operate your vehicle? · Is your vehicle a pickup, van, or utility vehicle with a gross weight exceeding 10,000 pounds or does it have a rated load capacity over 2,000 pounds? · Is your vehicle equipped with snowplow equipment, cooking or catering equipment, bathrooms, altered suspensions, hydraulic lifts, or racing equipment? · Is your vehicle equipped with a ladder rack or permanent toolbox that is used for your business? Personal vehicle insurance provides enough coverage for some businesses; however, there are times when commercial vehicle insurance is required. 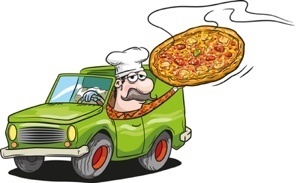 If you don’t want to be like the pizza delivery driver, the shuttle driver, or the independent landscaping contractor in our story, contact us for advice in making the right insurance decision at (800) 947-1270 or (610)775-3848. We'll help you obtain the right type and level of vehicle insurance for your business. GAP insurance refers both to Guaranteed Asset Protection and Guaranteed Auto Protection. In both cases it is designed to cover the difference (or gap) between the actual cash value of an asset and the amount still owed on the related loan or lease. While, strictly speaking, GAP insurance may apply to any type of asset, the vast majority of GAP insurance policies are written for cars, trucks, vans, and other types of vehicles. Why Bother With GAP Insurance? GAP insurance may be a wise choice in cases where a low down payment has been made, and on high-interest loans of 60 months or more. It is often offered by finance companies at time of purchase, and by auto insurance companies. This loan scenario frequently applies to vehicle purchases, which is why the term “GAP insurance” most often refers to added insurance protection for a vehicle. 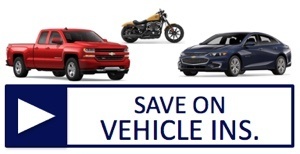 Cars, trucks, motorcycles and other vehicles are assets that depreciate rapidly in value. In cases where a low down payment is made on the initial purchase, it is common for the amount remaining on the loan to exceed the fair value of the car. This is because cars often lose up to half their retail within 3 years from the purchase date, at which time the remaining loan may far exceed that amount. 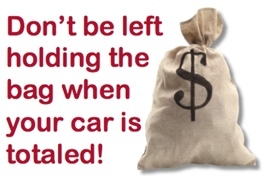 If your car becomes stolen or is totaled, the replacement value you receive from the insurance company may be far less than the amount remaining on the loan. In such cases a GAP insurance policy would cover the difference. If you would be unable to cover the difference without GAP insurance in such cases, or if this would represent a significant financial hardship, then GAP insurance may be right for you. GAP insurance may be purchased from an insurance agent or through a car dealership. GAP insurance coverage is often financed as part of the loan or lease, and typically comes into play when a vehicle is subject to a total loss. 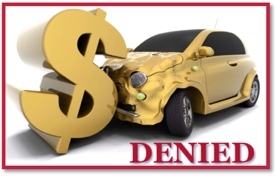 Some finance companies require GAP insurance when financing a loan. We suggest checking first with your independent insurance agent before signing a GAP policy related to a vehicle purchase. Your independent agent may be able to save you money by adding this coverage to your vehicle insurance policy rather than taking out a separate policy through your car dealership. To learn more about getting the right GAP Insurance for your vehicle, call us at 610-775-3848 or use the Contact Us form. When it comes to insuring your business “GAP insurance” refers to Guaranteed Asset Protection, and often comes in the form of a “guaranteed replacement cost” or “agreed value” insurance policy. In such cases your business property is insured for an amount that is guaranteed in advance regardless of what the market value may be at the time of your claim. This speeds the time to settle your claim, and may help you sleep better at night. To learn more about the many commercial insurance options for your business, call us at 610-775-3848 or use the Contact Us form. Who Saves You More on Car Insurance, the GEICO Gecko or the American Insuring Group Eagle? We eat geckos for lunch at American Insuring Group Ltd! What we mean is, we can quote from over 25 competing insurance companies (6 for auto insurance alone) with one call, so we will out-perform any single-choice auto insurance brand - guaranteed. That goes not only for car insurance, but truck, RV, motorcycle, and van insurance from Philadelphia to Pittsburgh, Lancaster to Allentown, and points in between and beyond. Would you buy groceries from a store offering only one brand of cereal or coffee? Then why call a "one company only" car insurance company like GEICO, State Farm, or others? We specialize in the most comprehensive and most competitive motorcycle, RV, truck, van and car insurance quotes anywhere in Pennsylvania, from Reading PA in Berks county, to Philadelphia, Lancaster, Allentown and the Lehigh Valley, to Harrisburg, York, Pittsburgh, Erie, and points in between. So why call GEICO for cheap car insurance when you can get a more affordable car insurance comparison from multiple companies with one call? At American Insuring Group LTD, we will show you how to save on truck, van and car insurance in ways that GEICO only dream about. Call today because the eagle has landed on savings from American Insuring Group Ltd. 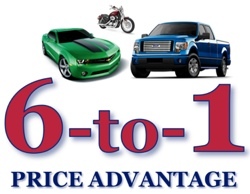 Call us at 1-800-943-2198 or click here for an Instant Online Car Insurance Quote. Oh, those car insurance commercials! Why do some companies spend hundreds of millions to persuade you to call their 1-800-cheap-car-insurance number to buy affordable car insurance? They claim that 15 minutes could save you 15% or more, or that drivers who switched from brand X saved hundreds. What would that statistic look like for those Lancaster or Philadelphia PA car insurance customers who failed to find affordable auto insurance? We’ve had enough! We know we can save you more than they can, but we can’t match the advertising dollars of those big car insurance companies. So we’re making a no-nonsense challenge to anyone seeking affordable car insurance in Lancaster PA, Philadelphia, Allentown, Harrisburg, York, Pittsburgh, Erie, or anywhere else in Pennsylvania: We’ll find you the most affordable Pennsylvania car insurance – PERIOD. Why are we so confident? At American Insuring Group, providing affordable car insurance in Lancaster, Philadelphia, Reading, Allentown, or anywhere in Pennsylvania, is our specialty! We eat, dream, and sleep this stuff. We represent over a half dozen “A” rated auto insurance companies, so we KNOW we can find you the best savings for your particular driving needs. Are You In? We’re Talking Affordable Car Insurance to YOU, Lancaster, Philadelphia, Reading, and All of PA! 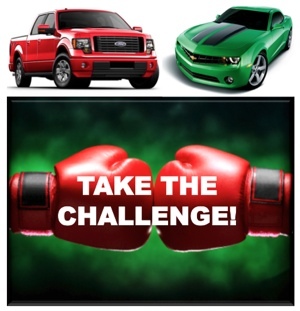 Call American Insuring Group at 1-800-943-2198 and take the “dinner is on us” affordable PA car insurance challenge today, or click below for an instant online auto insurance quote. Calling an Independent Agent to get Auto Insurance quotes is one of the smartest ways to compare rates for truck, van, or car insurance. Independent Agents work for You not the Insurance company, so they are able to compare car insurance prices from multiple companies with one call. At American Insuring Group, we represent over a dozen "A" rated auto insurance companies, so we can do the shopping for you for cheap, yet high-quality car insurance. Let one of our insurance professionals compare car insurance for you with one call today! 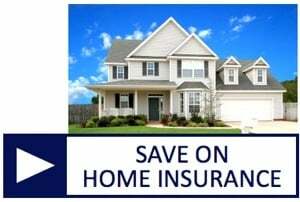 Having both your car insurance quote and your homeowners insurance quoted with the same car insurance companies is one of the best ways to save on both. This credit is called an account credit. Another way to save on car insurance quotes is for all vehicle insurance in the household to be with the same company. This will give all drivers in the house a multi-car discount of 20%. Some of our car insurance companies offer first accident forgiveness which guarantees no accident surcharges if you are responsible for an accident. Airbags, theft alarms and anti-lock brakes all give discounts with the car insurance companies we represent. 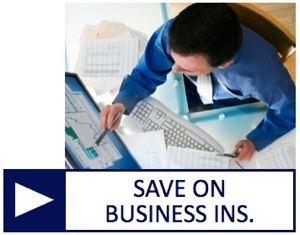 Agreeing to go paperless and having a AAA membership will give your vehicle insurance extra discounts. Mature drivers have a wide variety of mature discounts available from our companies. Discounts for over age 50, discounts for pleasure usage and driver improvement courses are all discounts mature drivers are eligible for to get the cheapest car insurance quotes available. Young drivers also are eligible for a variety of discounts for car insurance for young drivers. Driver Training credit is available to young drivers who have completed 30 hours of classroom and 6 hours behind the wheel instructions. This driver training credit gives 10% credit for three years for car insurance for young drivers. Student Away at School discount is available to college age drivers who live over 100 miles from home and have no car with them. This credit changes the young driver rate to a married rate which is a substantial savings. At American Insuring Group, we offer truck, van and car insurance quotes from insurance companies that offer loss free discounts and longevity discounts. These discounts start after 1 year with the company and increase to 5% yearly discounts. For the business owner, adding your van insurance to your personal car insurance quote will give your business vehicle a multi-car discount and a personal use discount. These are just some of the many ways that calling American Insuring Group for a car insurance comparison will help you save money on car insurance rates today! Call us at 800.947.1270 or 610.775.3848. For an instant online insurance quote for your car, van, truck, motorcycle, SUV, or RV, please click below. Located near Reading, PA in Berks County, we also serve the insurance needs of customers in Philadelphia, Lancaster, York, Harrisburg, Allentown, Pittsburgh, Erie, and points in between and beyond. Call or click today to get started!